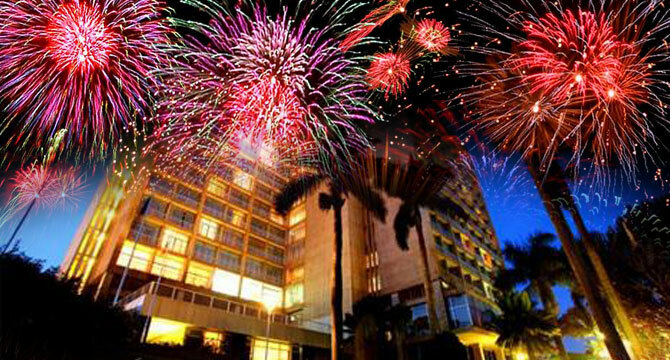 KAMPALA– Police have cleared 938 venues to display fireworks on New Year’s Day celebrations. Police spokesperson Emilian Kayima said the 938 venues presented by seven companies that sought permission to display fireworks must adhere to the eight guidelines before, during and after ushering in the New Year. Mr Kayima said police would arrest and prosecute any person who will be found demonstrating explosives when he was not among the venues presented by seven companies authorized display fireworks on the Passover night. “So far, the security sector has cleared a total of 938 places where fireworks will be displayed. Those that will be displaying firework have been given strict guidelines to adhere to, failure of which will attract severe penalties which might include stopping them from the exercise,” Mr Kayima said. Mr Kayima cited the companies that have been cleared to show fireworks that include Ms Tomil Fireworks Ltd, Ms Sky Flames (U) Ltd, Ms Quality Lighting Ltd, Ms Extremes Events Ltd, Ms Goshen Africa Events Ltd, Ms Light Africa (U) Ltd and Ms Fesco Ltd. The guidelines include advertising widely on all media platforms, have fireworks materials not exceeding 1.5mm caliber, display for only five minutes, the area District/Division Police Commanders (DPCs) reserve the right to stop any display if those displaying defy guidelines. “All fireworks materials will be escorted by our police counterterrorism teams, all materials not displayed will be handed over to our counterterrorism teams for safe custody. Those to conduct the exercise of display must be person with explosives blaster license [fireworks license],” Mr Kayima said. Other guidelines include that all venues to host the displays will be inspected to ensure suitability by the counterterrorism together with area police commanders. Police warned public against burning car tyres in the middle of the roads or elsewhere. Mr Kayima challenged the public to be extra careful and sensitive to what actually happens as they welcome the New Year since some criminal elements might attack, injure or kill victims whose alarms might be mistaken for New Year’s excitement. “Motorists across the country should exercise discipline on the road to avoid causing accidents. Our traffic teams and the highway traffic patrol unit are fully briefed and deployed to oversee everyone’s safety and security on the roads and highways,’ Mr Kayima said.